Our expert surgeons see patients at several conveniently located facilities throughout Southern California in Los Angeles, Beverly Hills, Encino, and Valencia. We believe that having state-of-the-art equipment and facilities is a key component to achieving the highest quality patient care. For this reason, each of ProMedSPINE‘s boutique practices boasts the most comfortable and technologically advanced accommodations available along with a luxurious, relaxing environment. To learn more about our facilities, call us at 888-75-SPINE. 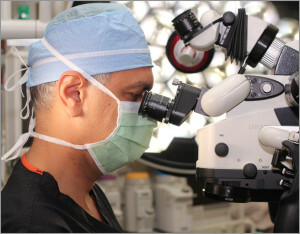 Due to the unique and technologically advanced nature of minimally invasive spine surgery and laser spine surgery, many of the procedures offered by our renowned spine surgeons can be performed in an outpatient setting. Outpatient procedures are performed in a medical facility, and the patient is usually allowed to go home the same day as the procedure. Although they also perform inpatient procedures, in general Dr. Gravori and his team find that most patients prefer the comforts associated with outpatient procedures. To discover if an outpatient procedure is appropriate for you, please contact ProMedSPINE at your earliest convenience. Dr. Gravori and his team are largely recognized as some of the best minimally invasive spinal surgeons in the country. Regaining control of your spinal or neurological condition is possible. Schedule a consultation at ProMedSPINE’s luxurious Los Angeles, Beverly Hills, Encino, or Valencia facilities by calling at 888-75-SPINE or filling out a consultation request form online. Next, learn more about the services we provide to our out of town patients.